When Vito Genovese went away to prison in 1960 for narcotics violations, he had every intention of returning to run his crime family and he was not about to give up control. In his absence, the triumverate of Thomas Eboli, Gerardo Catena, and Mike Miranda were selected to hold down the fort. Thomas “Tommy Ryan” Eboli was the youngest of the trio and was looked upon as the first among equals of the group. When Genovese died in prison in 1969, Eboli would finally be elevated to boss. Eboli was born in Italy in 1911. Not much is known about his early years. His arrest record, dating back to 1933, included a half dozen arrests for gambling and disorderly conduct. Despite his long involvement with organized crime his only prison time was a sixty-day sentence for assaulting a boxing referee. Eboli had been involved in the fight game during the 1940s and managed several boxers. In 1952, while managing boxer Rocky Castellani, Eboli became enraged over referee Ray Miller’s decision in a bout against Ernie Durando in Madison Square Garden. Eboli jumped into the ring and attacked Miller. Afterward he was banned from participating in the sport. Eboli’s business interests included restaurants and vending machines in Greenwich Village. His operations in midtown and lower Manhattan included nightclubs that catered to the gay community. He was also involved in the music industry as a partner in the Promo Record Company. It was reported that Eboli’s bookmaking operation was bringing in $20,000 a day. When Lucky Luciano was deported to Sicily in 1946, couriers would carry money to him and keep him apprised of what was going on back in New York City. Tommy Eboli and his younger brother Pasquale, or Pat made several of these trips. Luciano admired Pat, but did not like or trust Tommy because of his close relationship to Genovese, whom Lucky despised. According to Luciano, in 1956 Tommy visited him to get his vote on whether or not to allow Frank Costello to retire as head of the family. 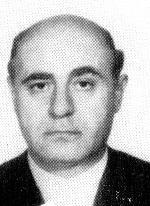 Even though the commission approved it, Genovese was still concerned about Costello’s influence and wanted to kill him. On the night of May 2, 1957 an attempt was made to kill Costello just inside the lobby of his apartment building on Central Park West. The would-be assassin, Vincent Gigante, was once managed by Eboli when he was a prizefighter during the mid-1940s. Gigante only wounded Costello in the attempt, then ran back to a getaway car that authorities believe was driven by Eboli. In the wake of the botched attempt on Costello, and the subsequent murder of Albert Anastasia, Genovese organized the underworld debacle known as the Apalachin Conference. According to Luciano in the “Last Testament of Lucky Luciano,” he and Carlo Gambino masterminded a plan to set up Genovese on a narcotics bust. He and Gambino agreed to pay a Puerto Rican hoodlum named Nelson Cantellops $100,000 to contact the Narcotics Bureau Strike Force in New York and carry out the plan. Luciano stated Meyer Lansky “paid into the kitty,” and that Costello agreed to pay $25,000 of the fee if Gigante was part of the arrest. Gambino wanted Tommy Eboli included because he hoped to break up Genovese’s muscle, but Luciano claims he talked him out of it because of his friendship with Pat Eboli. After the trial in 1959, Genovese, Gigante and 23 others were convicted. During Eboli’s years as acting boss, 1960 through 1969, there was little activity involving the Genovese Family. Gambino was busy strengthening his position by seeing that people he supported moved into leadership positions of the other families. This included Joe Colombo, replacing the late Joe Profaci, and Carmine Tramunti replacing Tommy Lucchese. After the Gallo War in the early 1960s, the only other flair up was the Banana War. On September 22, 1966, Eboli and twelve other mobsters were arrested in a private dining room at the La Stella restaurant in Queens, New York. Among those arrested for consorting with known criminals – each other – were Eboli, Gambino, Carlos Marcello, Santo Trafficante, Joe Colombo, Aniello Dellacroce, and Mike Miranda. The men were strip searched, fingerprinted, photographed, and then held as material witnesses. Described as hotheaded and possessing a fiery temper, Eboli was not a popular boss. He did little to strengthen the family and did even less to support his underlings. When Genovese died in February 1969, Eboli was the logical choice to be anointed the new boss of the family. Catena was serving a prison term and Miranda was 72 years old. However, Eboli was clearly in over his head. During his three years as the official boss, he was called upon to appear before grand juries or governmental inquiries into organized crime activities. He tried to avoid these appearances by feigning illness. The newspapers claimed that he had suffered several heart attacks in recent years. Eboli lived in a high-rise apartment in Fort Lee, New Jersey with his common-law wife, Mary. Fort Lee was also home to Albert Anastasia, who owned a mansion there, Joe Adonis, and Anthony “Tony Bender” Strollo. When Joe Adonis died in Italy in 1972, his body was brought back to Fort Lee for burial. In early 1972, Eboli got involved in a $4 million dollar drug deal. Unable to raise all the money himself, he asked Gambino to help him finance the deal. Shortly thereafter, Louis Cirillo, Eboli’s partner in the transaction, was arrested and sentenced to 25 years. Authorities seized both the money and drugs. When Eboli was asked to make good on the lost money invested by Gambino, he refused. Some crime historians believe that Gambino used this incident to have Eboli removed and promote his own man, Frank “Funzi” Tieri, into the leadership of the Genovese Family. On July 16, 1972, around 1:00 a.m. Eboli was leaving the apartment of a girlfriend in the Crown Heights district of Brooklyn. When he reached his automobile he was shot five times in the head and neck. Some consider it a gesture of nobility on the part of the assassins that they shot him after he left the apartment allowing him one last moment of pleasure before departing this world. The details of his murder are very sketchy. An autopsy revealed that the five bullets hit him on the left side of his face and neck, and there were glass fragments and powder burns, which indicate he was inside the automobile as the killer stood close and fired. Police also found glass lying in the street and later in his automobile. The fact that he was hit on his left side would indicate he must have entered into the backseat behind his driver, Joseph Sternfeld. However, when police located his automobile, bloodstains were found on the right front seat. When police arrived at the scene, Eboli’s body was found lying in the middle of the sidewalk indicating that Sternfeld may have carried him there. On Monday, July 17, Sternfeld appeared at the Foster Avenue police station in Brooklyn to answer questions. When his answers didn’t support the physical evidence, police held him overnight as a material witness. The next day the New York Times reported that Sternfeld provided “useful information” about the shooting. This apparently came after he spent the night in an unfurnished cell and had to sleep on the floor. Despite the “useful information,” no one was ever arrested for the murder of Tommy Eboli.